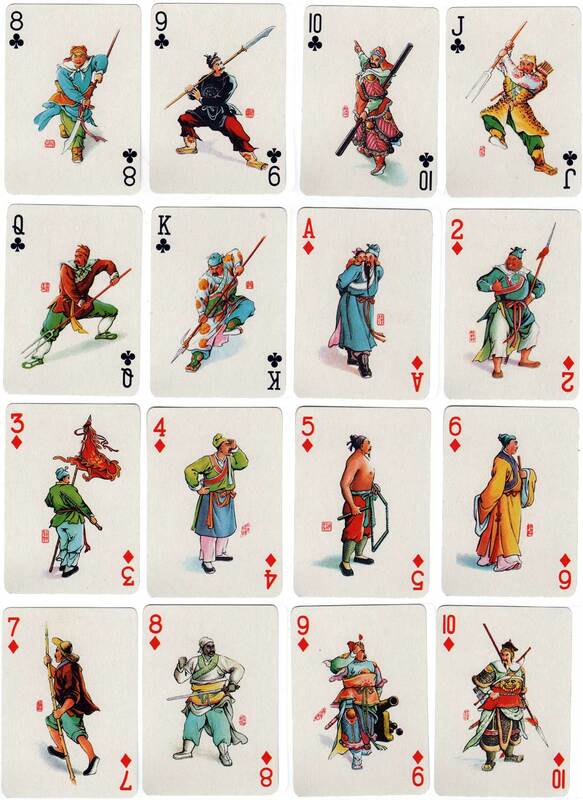 Above: playing cards featuring characters from “The Water Margin”, c.1970. 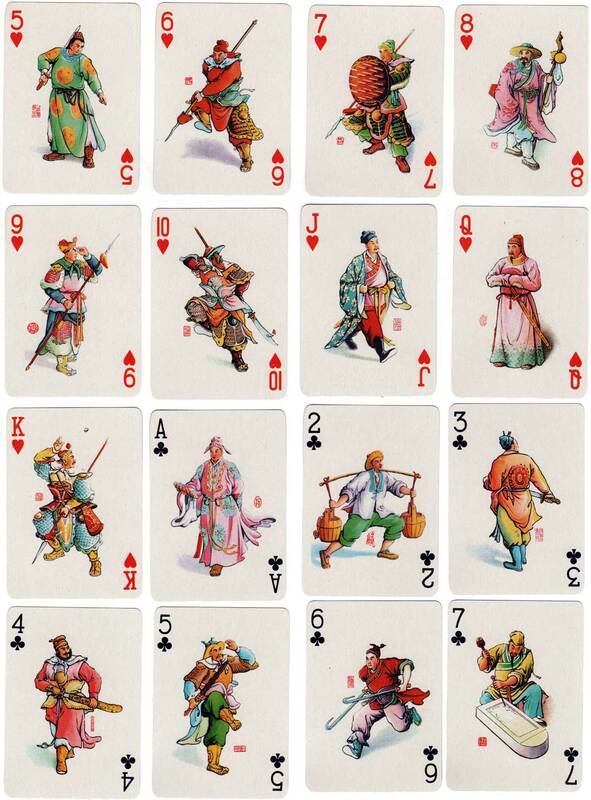 Various editions are known, often with different back designs. 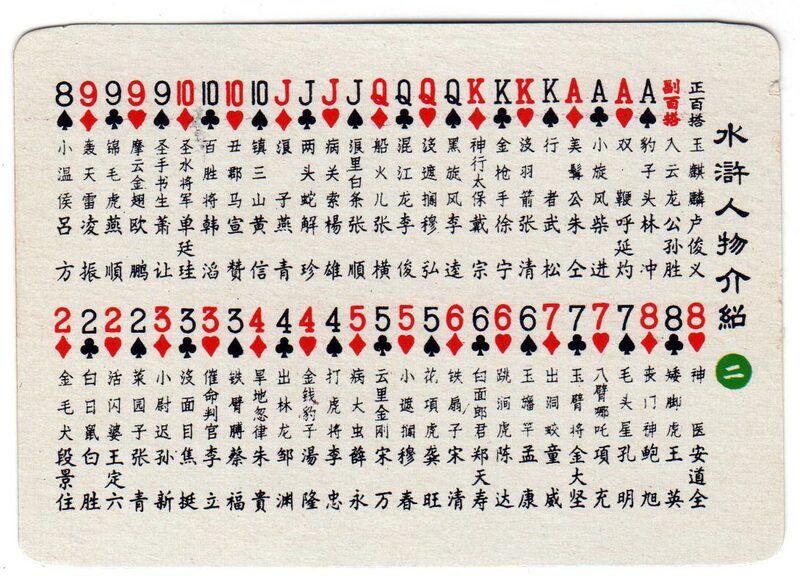 This edition is a high quality double boxed set; each deck comprises 52 cards + 2 jokers + 1 information card, all printed in a Chinese language. 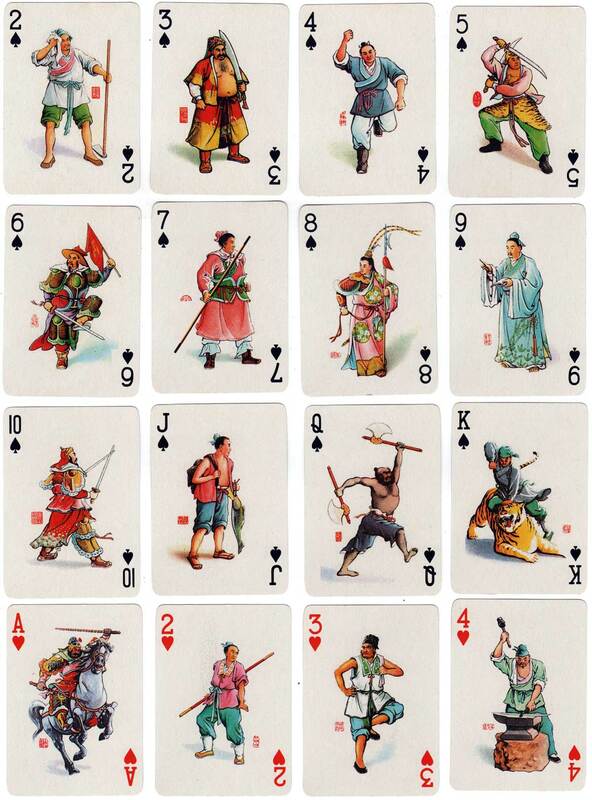 The illustrations above are from the second deck in the set. Images courtesy Matt Probert. Thanks to Anthony Lee for additional research.